Corfu or Kerkyra as it is known locally (from Greek mythology, a water nymph that Poseidon fell in love with): is very different from the other islands of the Mediterranean. 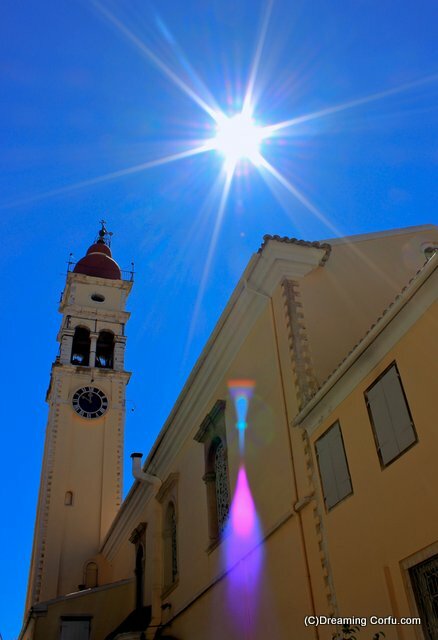 Corfu has been controlled by many foreign powers, notably the Venetians and the British; making it one of the most interesting and varied Greek Islands that has attracted travellers for at least 130 years. Today it is often overlooked by many in favour of places like Santorini or Mykonos. 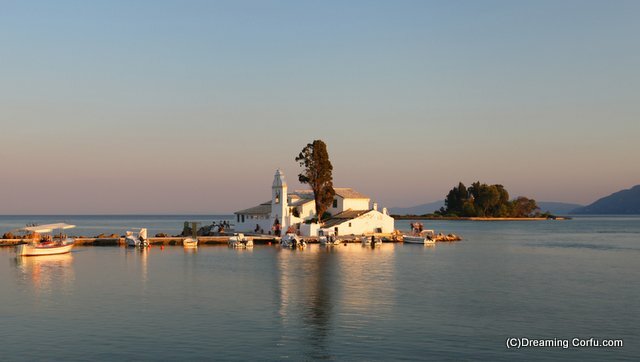 The fact is that Greece is a nation of islands, each with own special identity, and Corfu is no exception. It is a popular holiday destination for both the independent traveller and package tourist. The independent traveller heads for the north east corner probably staying in one of the many luxurious villas. The package tourist has a huge choice of beach resort hotels and apartments to suit all pockets and these can be found throughout on the north, west and east coasts. 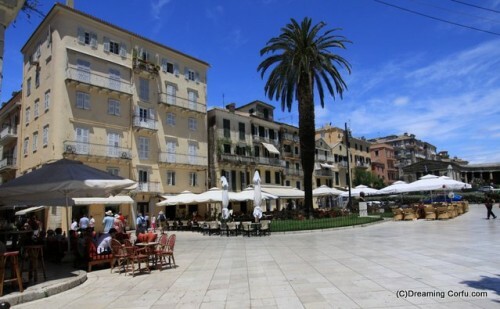 The capital of the island, Corfu town, is where most people will arrive, and here you can see many traces of the island’s former occupants. Many buildings from the British and French remain intact as well as 2 huge forts and the16th century Áyios Spyrídhon church. Much of Corfu Town was flattened by the Germans in World War II, but the city was rebuilt restoring much of the classic architecture. It is an easy place to spend a few days, with lots of interesting things to see. 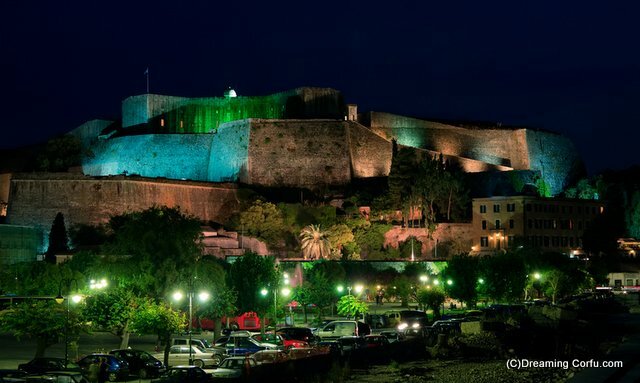 You should start out by exploring the historic center, the area enclosed by the Old Port and the two forts. Within this area are several small districts: Campiello, Kofinéta and Áyii Apóstoli. 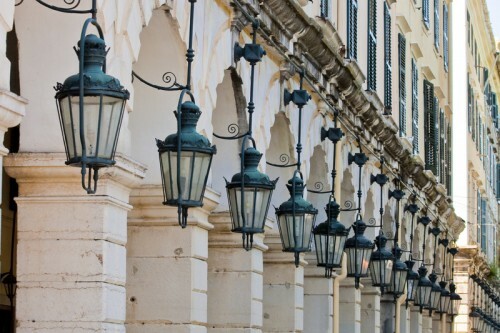 This part of town is much more interesting then the new town, for here you’ll find narrow and winding alleyways concealing some of Corfu’s most beautiful architecture. But be warned. 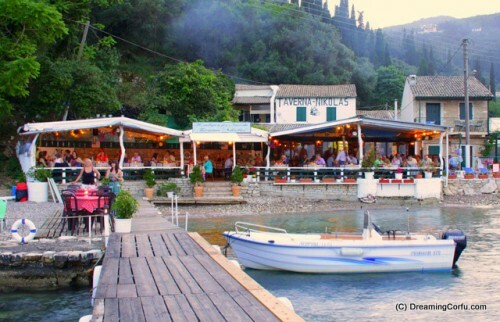 As the island’s major port of entry by ferry or plane, Corfu Town can get packed in summer. A great place to spend a few days, but there is so much more on this island. Kavos is the island’s party town about 30 miles south of Corfu town and the airport. This is where the majority of the young package tourist end up and it is definitely the place to be if you are looking for wild nightlife. During the day, Kavos feels like a sleepy relaxed town. There is more than enough room to sunbath along it’s one and a half mile of beach. Look anywhere along the beachfront to arrange scuba diving trips, sailing and speed boat rides, but it is in the evenings that Kavos really gets going. Although many shops and restaurants open for a few hours mid-day, by evening everything is open and running full steam. It is a busy and crazy town, with countless bars and clubs. And the partying goes well on into the night. The island has much more to offer than endless nightlife though: there are riding stables, sleepy villages still to explore and old castles to wander into. Some of the most beautiful mountain villages, where time appears to have stood still are: Pelekas, Perivoli, Peroulades,Sinarades, Sartilas, Epiiskepsi, Strinilas, Magoulades and Gastouri. 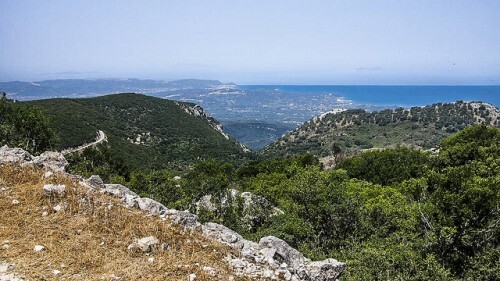 For the adventurous, the well marked Corfu Trail is an option but be aware that walking the entire length of this course will take anywhere from 8-10 days; It’s 137 miles from one end of the island to the other. It is possible to walk just short sections of the trail, but if you decide to go the whole route you’ll find every type of landscape the island has, from lagoons to the mountain views. It is a good idea to avoid taking this trek in summer, as the daytime temperature can get quite high. You can find more information about this incredible journey here. 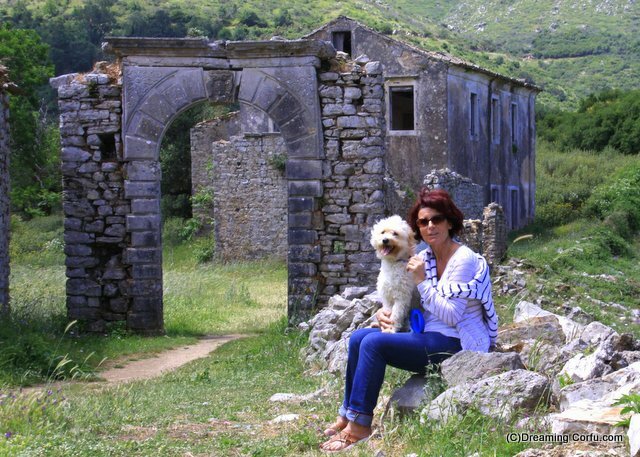 The fascinating village of Paleá (Old) Períthia is nestled in a hollow on the north slope of Mt Pandokrátor. This Venetian-era village was completely abandoned in the 60s which left something of a medieval time-capsule. In the late 90s it was sort of rediscovered and now has “ World Heritage” accreditation; it attracts both travellers and people looking to restore one of the old buildings. Paleá Períthia is on the Corfu Trail and in recent years can now be easily reached by car. The Theotókou monastery in Paleokastrítsa is another place worth a visit. It is easy to get to, as it is on the tour-coach circuit, but you’ll be rewarded if you make an overnight stay as it is a completely different place when the tourists have left for the day. The town itself has some of Corfu’s most beautiful beaches nestled in little coves with crystal clear seas but most people come here to see the 13 century monastery. Sitting atop the mountain above the town, it has stunning views and interesting artifacts. Probably one of the best day trips you can take in Corfu is to Ágii Saránda in nearby Albania. Until recently, it was not all that easy to visit here. Near this town are the Roman ruins of Butrint. Built in 31 BC, the city was abandoned in the middle ages after an earthquake flooded most of the city. There are an incredible amount of ruins here in very good condition, as they have seen less tourism than much of the other Roman ruins. There are aqueducts, Roman baths and forums, and it´s easy to arrange a day trip through Ionian Cruises. 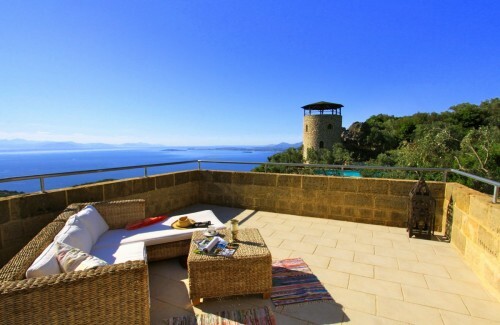 But you don’t have to leave Corfu if you want to find traces of ancient civilizations. Palaiopolis is located near Mon Repo and was the ancient agora of Corfu and while not as well preserved as Ágii Saránda, it is still worth a visit. Only discovered during the Napoleonic wars, the Temple of Artemis was built around 580 BC in the ancient city of Korkyra, in what is now known as Garitsa. The temple was a sanctuary dedicated to Artemis. Walking through this ancient place is quite humbling. There is no shortage of things to see and do on the island, and you will find some amazing uncrowded places if you can manage to pull yourself away from the beach.